This whole pack of student binder printables makes the perfect companion in school. It is designed to help students organize their schedules, requirements, and activities. 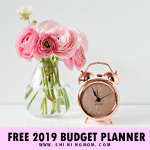 You’ll be surprised to see over forty excellent planning sheets that are all for FREE printing. 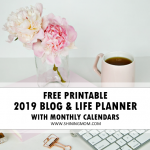 It even includes a monthly academic calendar. Really, this all-new binder is an excellent tool that will help every student succeed in school! 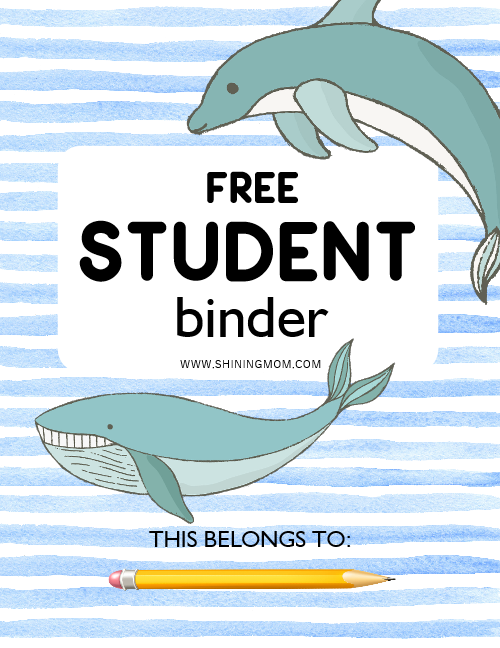 I can’t even begin to tell you how much I love this whole pack of student binder printables that I am sharing with you today. 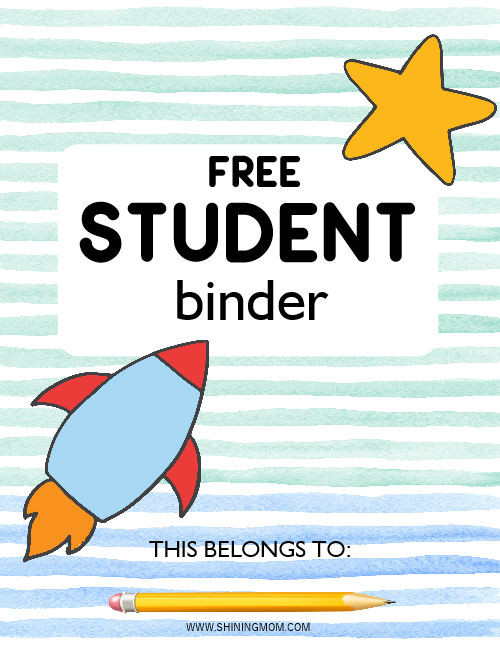 If there’s one binder that I wish students to have from my Printables Library, it is this all-new Student Binder because it is loaded with school organizing essentials! It had such a great time creating the student binder printables. I have poured out love in creating every page and made sure that it will bless the students that will get their hands on them. I designed the binder with busy students in mind. 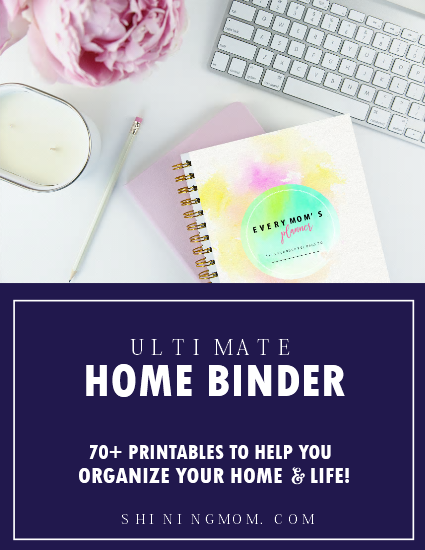 With their tons of requirements need sorting and organization, this binder can surely help. I am so glad I have already completed coming up with the whole pack and that it is now ready for printing! But I must admit, creating the student binder printables reminded me of my teaching days. And it made me miss being in the classroom. I miss that spark in my students’ eyes after an exciting lesson. I miss our storytelling sessions. I miss the laughter and the noise of learning! Ahh, there is this different kind of joy that one can only feel when at the school, it’s the kind of joy that is so fulfilling because you know in your heart that you have somehow inspired someone to dream. I know teachers can relate to this! What they say about teaching is SO true– that once a teacher, always a teacher. No other jobs can take being a teacher away from you. 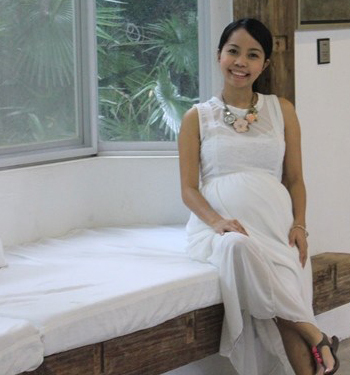 While I love my current work as a fulltime blogger and I am beyond thankful for the blessing of being able to from home to look after my kids, I know in my heart that I am always a teacher. And that I have a soft spot for students and learning wherever I go. Being in the classroom for years, have witnessed how staying organized can help students to be more efficient class. A student binder can be one of the most accessible tools that can help students get organized. And so today, I thought of creating a whole new pack of student binder printables that I believe will help every student perform better in class. And you know what? I feel like being a teacher all over again! Oh, what joy! 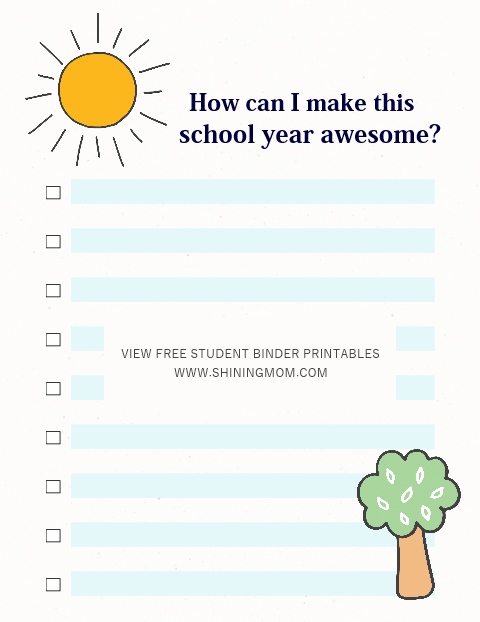 This school binder includes over 50 student binder printables that will help set up school success. 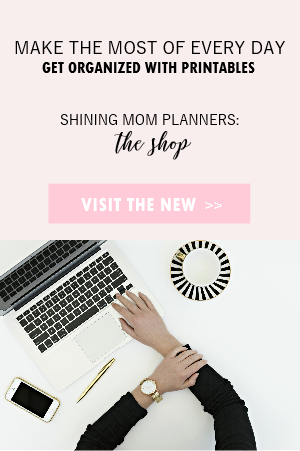 It is fun, playful and colorful, designed to me organizing and planning a little bit more exciting! 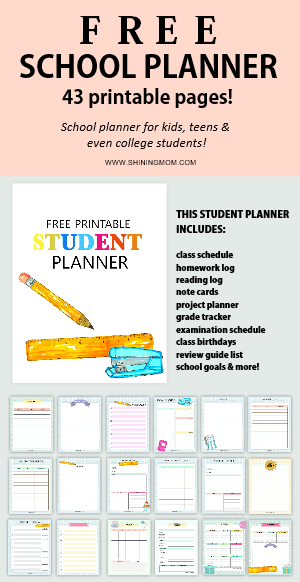 I am pretty sure the planning sheets included in the binder can immensely help you get organized in school! Let’s take a quick binder tour so you can preview the pages. It is designed to be used by students in the elementary and high school levels. Every binder needs a pretty cover, and this is no exemption! I made four cover designs for you to choose from. They come cute, bright and colorful perfect for the smaller kids. A special shout out to Design Cuts and Creative Market for some of the graphic elements I’ve used in creating the binder. And oh, I’ve also added a clean and minimalist cover design for the older students so everyone can enjoy the binder. Here are the student binder cover samples. I suggest that you print out the cover design of your choice on card stock just to make it a little sturdier. Students like you have a lot to keep track of in school such as assignments, examination schedules and scores, projects, and more. The very reasons why I made sure to include useful organizers that can help you organize all the school information and requirements. 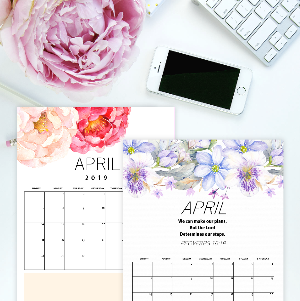 You can find all the printables shown below in your download, and a whole lot more! And since school is also about making friends, I have included pages for you to keep track of your classmates’ birthdays and social media accounts! How cool is that? There are also pages where you can freely spill out your creativity because I have added a dream board and brain dump pages! Wait, I am not done yet! To make planning fun, you’ll also find cute worksheets that will motivate you to do your best in school. How can you make the new school year awesome? List down your ways! And of course, I did not forget to include motivational posters for you! Yup, you’ll be getting five school posters (that you can also use as binder dividers) that will inspire you to do your best this school year. These posters will remind you to keep dreaming and believing that you can take that daily step towards your goal every day. Simply put, these posters will inspire you always to be your awesome self! Take a look at the sample poster below. 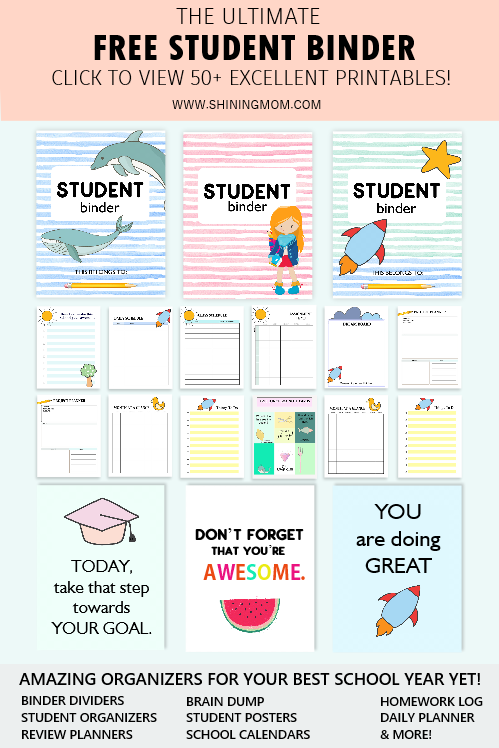 There are so many student binder printables to love in this whole pack! I am so excited to hand all of them to you! 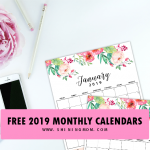 Lastly, to complete your school planning needs, I have included monthly school calendars that are for free printing as well. Here’s how the monthly calendars look like. They are not dated so you can use them any year! That’s about it! 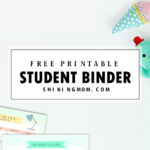 It’s time to get your student binder printables! I am pretty sure they can help you have your best school year yet! 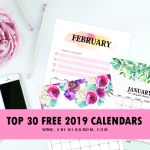 CLICK HERE to DOWNLOAD the 50+ pack of binder printables sent straight to your inbox immediately. The printables are designed for printing in US Standard letter-size paper with 8.5″x11″ dimensions. You may also print it using A4 sheets, be sure to adjust your printer setting. Enjoy the school organizers for personal use! 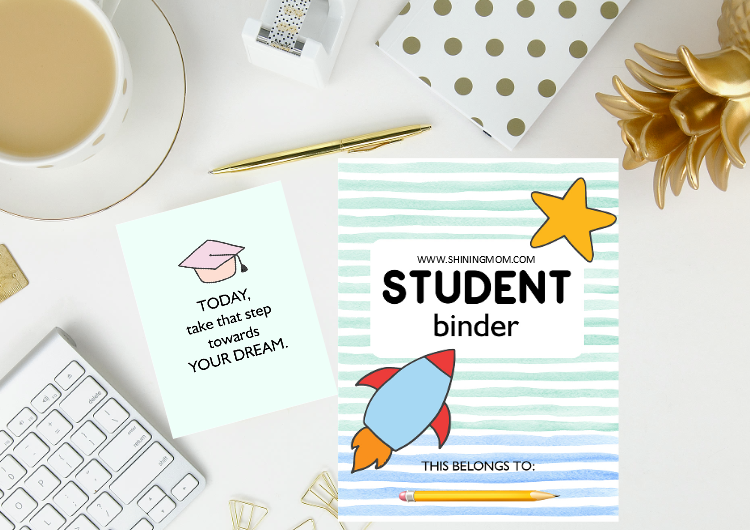 Do you love our student binder printables? 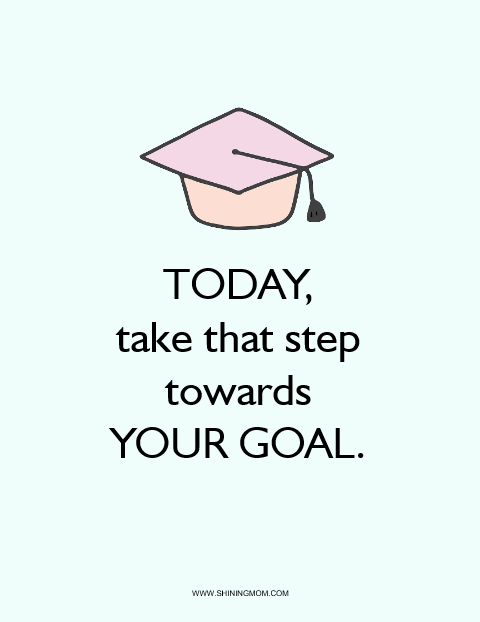 Please take a second to share this post with other students by pinning it on Pinterest. I dream that the whole binder reaches and blesses thousands of hardworking students in the world. Thanks for your support. May you have an awesome school year. I wish you all the best! 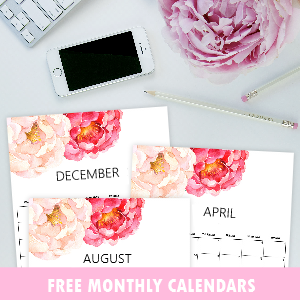 « 30+ FREE Printable Binder Covers: Super Cute and Pretty Dividers!